The yellow dot marks our capital of New Ostia; a bit big, but it's on a small island in the bay. For any size disputes, please telegram Apocryphi directly to ensure it can be dealt with ASAP. P.S. I've already noticed the words New Rhodinia and your Capital haven't appeared, will be done for the next update. And you forgot to label New Rhodinia and his capital, which I suspect is New Ostia. 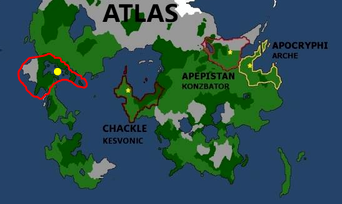 Hey, my capital Xarax, not Xanax. @Xolox wrote: Hey, my capital Xarax, not Xanax. It's going to have to be reduced a bit when put on the map, but yes, it should be accepted. I agree, it should be reduced, similar to a size like mine. Its acceptable, however, as Lockdownn said. 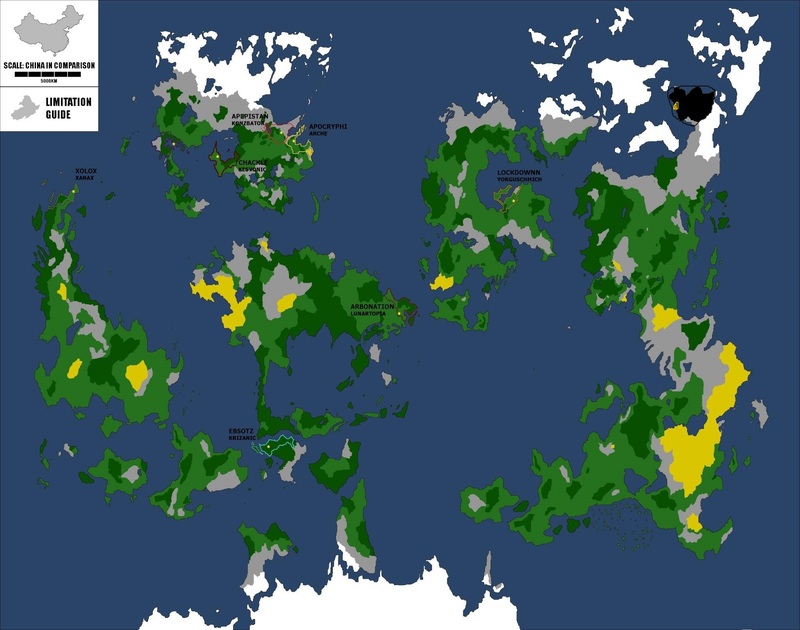 Can we get a high-resolution map where editing it would be easy with simple softwares aswell like MS paint? Just tell me what you want to deduct, and we can agree on it. Thanks! Please accompany a detailed new post along with your claim for it to be accepted, thank you. Compilation of News posting Links. We doing expansions? Because I can do expansions. News post will be up momentarily, exactly the same as our post regarding our World Alliance expansion that didn't see the light of day. 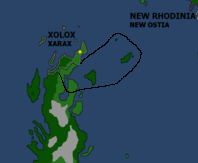 @New Rhodinia wrote: We doing expansions? Because I can do expansions. Doing them really early, but if it's okay with Apocryphi, I guess we can start posting them. The first expansion is set to be after one month of your nation residing in the GF, but since Ebsotz and Chackle went ahead and did theirs, I posted mine. I guess these shouldn't really be considered "canon" yet until ~April 14.